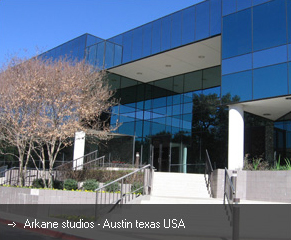 Founded in 1999, Arkane Studios is an independent game developer with offices in Lyon, France and Austin, Texas. The company's passions are invested in first-person immersive games with depth. Arkane released its first game, Arx Fatalis, in 2002. With its innovative magic systems and rich, cohesive environments, Arx earned the studio some major awards, including a nomination as Rookie Studio of the Year. In 2006, Arkane created Dark Messiah of Might & Magic, a game known for innovations in body awareness and its unique first-person combat system. Dark Messiah garnered the IGN Reader’s Choice for the Best PC Action Game of 2006. Along the way, Arkane Studios has worked on projects with Valve, Activision, Electronic Arts and 2K Games, contributing to AAA games such as Call of Duty : World at War and Bioshock 2.